In the video clip from below Wayne Harrison, a former professional player and coach, instructs players during his Playing Out of the Back in a 4-2-3-1 Formation demonstration. Coach Harrison runs this session in a half field setting with players doing a walk through with no defenders or second team. 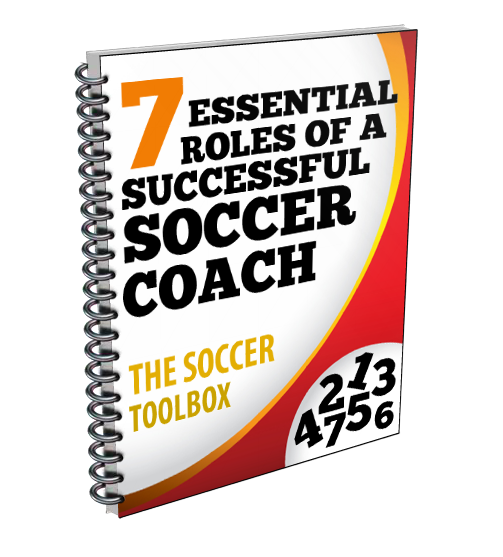 The 4-2-3-1 is used by several of the top professional soccer clubs in the world and can be very effective if used and executed properly. This formation has four backs or defenders with two midfielders in front of this line. A second group of three midfielders follows with one forward up top. There is a lot of movement and shifting within this formation which requires players to understand roles and not only how to play their position, but how others need to play their positions in order to be effective. so, the team as a whole needs to be tight and compact. This eliminates gaps and extra space, which makes it more difficult for the offensive team to penetrate. When the team has the ball and is on offense in a 4-2-3-1 formation, the players need to be wide and spread out. 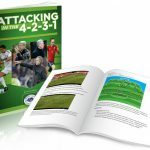 The outside backs and midfielders create width by pushing to the outside, while the forward can create depth by pushing up the field to the defenders or back line of the opposing team. The focus of the offense should be to make it difficult for the other team to defend and cover all the space, while creating extra room for their team to possess the ball and attack. The YouTube video below is from World Class Coaching and has sound, so please make sure that your sound is turned on and that you have access to the site. Some schools block access to YouTube.